In 2007, it was estimated that the United States would spend $33.2 billion dollars on both the direct and indirect costs of heart failure (HF). In 2004, hospital discharges for HF numbered 1,099,000 up from 399,000, twenty-five years prior. In 2002, total-mention mortality for HF was 296,700 people. 1 The proportion of patients with heart failure with preserved ejection fraction (HFPEF) is increasing over time, and unlike those with reduced systolic function, survival is not appreciably improving. 2 In addition, despite the growing prevalence, few well-designed, large clinical trials exist. 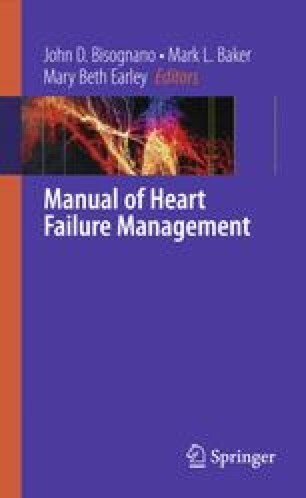 3, 4 This chapter is intended to define heart failure in the setting of preserved ejection fraction, report the current understanding of causation, identify methods to assess this form of heart failure, and discuss current strategies for treatment.